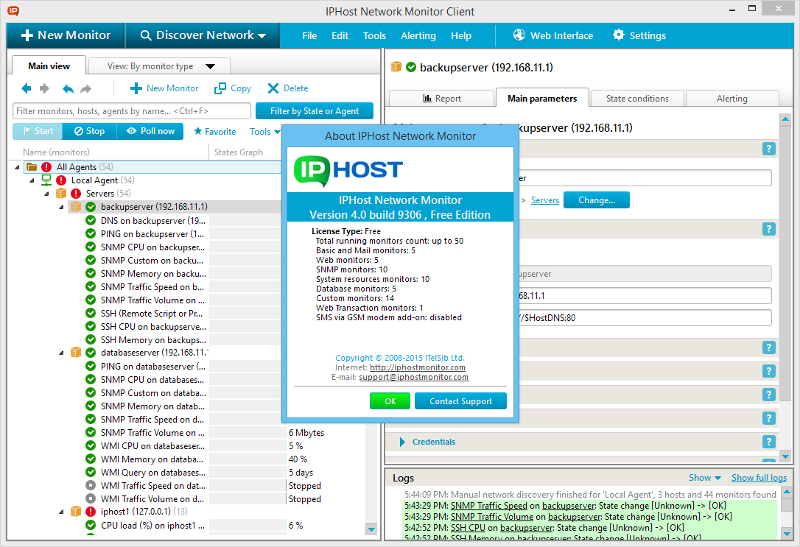 IPHost Network Monitor is a free network and server monitoring software. The free version allows monitoring of websites and intranet applications, mail, database (Oracle, MySQL, MS SQL, ODBC) and other servers, network equipment and other resources inside and outside your network. Application templates for discovery and out-of-the-box monitoring of various servers and server applications. Remote Network Agents enable monitoring of resources in multiple separate networks. Performance and other counters on Windows computers can be monitored via WMI, on UNIX/Linux systems via SNMP. Supported protocols are HTTP, HTTPS, FTP, SMTP, POP3, IMAP, ODBC, PING, and more. Web Transaction monitor for end-to-end web applications and e-commerce sites monitoring. SNMP MIB browser with SNMP SET support. SNMP traps monitor for immediate alerts on event. You can also use any Nagios plugin to monitor what you need with IPHost Network Monitor. 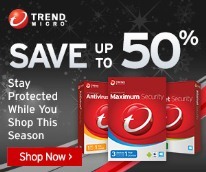 Alerts by email, Jabber, ICQ, AOL, SNMP SET, play sound or by execution of a program. Administrator tools provided. Daily, weekly, monthly automatic reports (summary, trend, problem) for any monitor, host or group. Reports for custom period and visual alerts in web interface. The free version has some limitations, it can be used with up to 50 monitors, however this should be sufficient for most users. Recent Changes: Application and Server Monitoring Templates can now include attachment files. There?s now an option to mark template?s Match monitor ?for network discovery only?. Now an icon can be assigned to a host or a host group. 'Script or Program' and 'Python' monitors now require less resources to run.